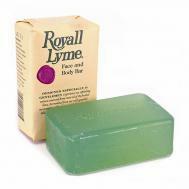 Royall Lyme Bermuda Glycerin Face and Body Bar designed especially for gentlemen, but perfect for anyone! 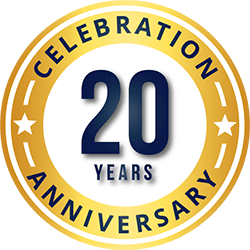 Experience the refreshing essence of sweet and tangy lime oils used in this big bar of glyceine soap. Triple milled, 8 oz. bar, made in the USA! Royall Mandarin Bermuda Cologne Natural Spray is a most sophisticated bright and spicy scent, said to be as fresh as a Bermuda dawn. Wedding luscious tropical mandarins to the piquant warmth of coriander and thyme, this enticing, complex blend balances zesty orange citrus with subtly herbaceous undertones. Royall Vetiver Bermuda Cologne Natural Spray a classic bouquet of invigoratingly fresh citrus blended with exotic East Indian spices lends to the zesty yet warm finish of the Royall Vetiver Colgone fragrance. 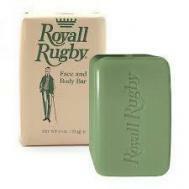 Royall Rugby Soap, created especially for men, and made in the USA, is a sophisticated face and body bar.